Dortmund - Pierre-Emerick Aubameyang has extended his contract with Borussia Dortmund until 2020, the Bundesliga club announced on Friday. The Gabon international arrived in Dortmund in 2013 and proved an immediate hit, scoring 13 goals in his first Bundesliga season. He added 16 last term, taking his total to 29 in the Bundesliga and 41 in all competitions since joining from French club AS Saint-Etienne. 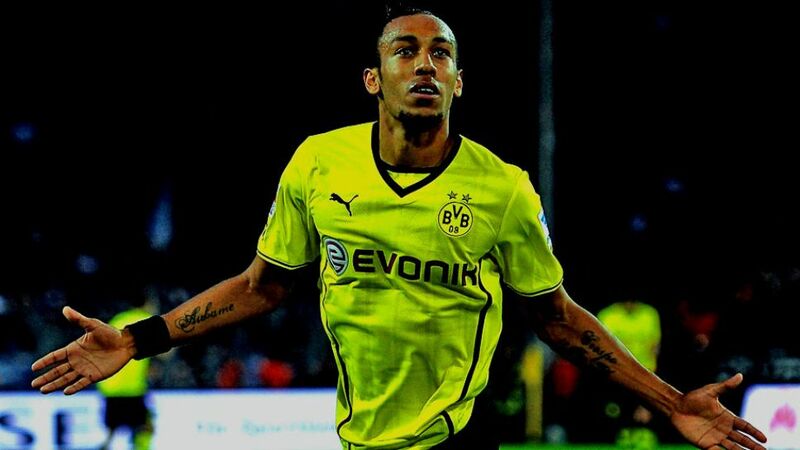 "I'm absolutely delighted that the next few years of my career will be spent at Borussia Dortmund," Aubameyang told bvb.de. "I feel very happy at the club, in this team and in this city. BVB has become like a second home to me. Every part of me wants to be here and I have never wanted to leave." "Auba has developed outstandingly. We are very happy that we have been able to tie him down to a long-term contract," explained Dortmund's sporting director Michael Zorc after Aubameyang's contract had been extended. Following the departure of Robert Lewandowski to FC Bayern München a year ago, Aubameyang has assumed even more responsibility in Dortmund's attack, underlined his worth to new coach Thomas Tuchel with a goal in a recent friendly against Juventus and a stirring display against Wolfsberger AC in the UEFA Europa League on Thursday. "I'd definitely like to score 20 goals in the Bundesliga this season," said the 26-year-old to newspaper Die Welt last week. "That is my aim."